SIGNS THAT YOU ARE UNDERPAID AT YOUR CURRENT JOB. 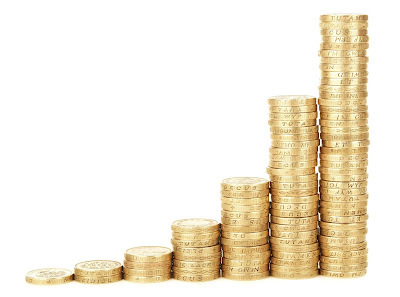 Are you wondering, but not quite sure if you are underpaid at your current job? 1) There are a couple of salary survey sites that help you determine whether you are underpaid at your current job. If you find that the average salary for someone with your level of experience and responsibilities is significantly higher than what you earn currently, then it means that you are underpaid. 2) If it is relatively easy for you to replace your present job with a better paying job, then it means that you are underpaid. Maybe you are at still at your present job for reasons like proximity to your house, and if you wanted to switch jobs you would easily land one that pays higher than what you earn, it means you are underpaid. 3) As mentioned above, if you get job offers that are willing to pay more than you earn at your present job, then it means that you are underpaid. 4) One of the easiest ways to tell if you are underpaid is if you have people in your organisation who do work that is very similar to yours, but earn more than you do. You can discretely try to find out what people with similar roles with you earn at your firm as this will help you determine whether you are underpaid or not. 5) Another way to tell if you are underpaid is if you regularly come across job openings that offer to pay more than you earn. 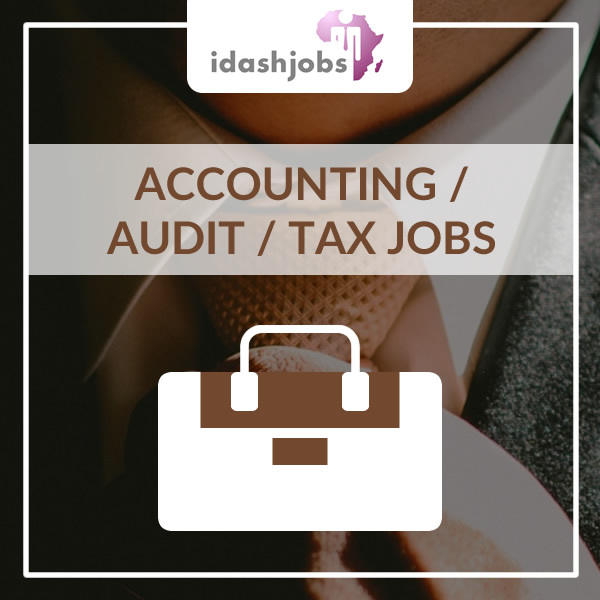 You can register on job boards like idashjobs.com and scan through job openings that are similar to what you do and see what they are willing to pay. 6) If people with your level of experience get salaries that are way higher than what you earn, then it means you are underpaid. You can ask people within your network what people with your level of experience get paid at their own firms. This also helps you to figure out what you are worth and you can then determine if you are underpaid or not. 7) You are underpaid if people (recruiters) tell you that you are. Recruiters are in the best position to tell you if you are underpaid or not. Therefore, if a recruiter tells you that you are underpaid, then it means you are. After discovering that you are underpaid, you can then go to your manager to negotiate a pay raise. Want to know more about how to negotiate a good salary? Find out HERE. Are there other ways you think might indicate if you are underpaid or not? Share with us in the comment section below, as we would love to hear your thoughts. Rejections are very common when it comes to job applications. So, the best thing to do for yourself is not to take it personally when your application is rejected. Just because an organization rejected your application does not mean you have failed or that you will never get a job. You just have to keep pushing and not give up! The best way to deal with rejection is to see it as an opportunity to do things differently and better. Consider why you were rejected, analyze the situation and move on. Easier said than done? Maybe… but, here are a few tips to help you deal with rejection and move on. 1) Get feedback - A number of employers refrain from giving feedback but there is no harm in asking. Respond to the email with gratitude, even though it hurts to be rejected, but the feedback you get from the interviewer will help you analyze and re-strategize so you can do better at your next job interview. “Thank you for getting back to me about the status of my application. I appreciate the opportunity to have interviewed for the position. It was such a pleasure to meet with you. Please do not feel obligated to answer this question, but your feedback would be great. If there was something you noticed during my interview that I could have done better, I would really like to know, as it will help me in my job search. This will leave a positive impression with the interviewer; you never know what might happen, you do not want to burn bridges. If you do not get any feedback, you can do a self-evaluation and take note of areas where you need to work on for future interviews. 2) Maintain a positive outlook – Now is the time for you to take care of yourself, don’t be too hard on yourself as this may hurt your confidence and cause you to perform poorly in subsequent interviews. Remember, the fact that your application was rejected does not mean that you are a failure. Rejection is only a setback that you can overcome once you figure out how to do things differently. Be careful not to over-analyze the situation. 3) Re-strategize – Now that you are done analyzing the situation and you have figured out what to do better, it’s time to re-strategize and come up with a new plan. Focus on your strengths and seek opportunities that you are passionate about, ask yourself some pertinent questions; Are you applying for the right jobs? This is to enable you determine whether you are utilizing your time properly. Ensure that you are applying for jobs that match your qualifications, skills and strengths, as this will put you in a better position to land your dream job. So, the interviewer is done asking you questions and then he asks if you have any questions of your own. Not asking your interviewer questions will make you seem inadequately prepared or uninterested in the job, so you need to have some smart questions to ask your interviewer. What do you say? How do you start? These questions will also serve as a way of showing your interviewer that you are genuinely interested in the job. Guidelines for asking your interviewer questions. 1) Avoid questions that focus on you alone - Remember, you are trying to show your interviewer that you are genuinely interested in the organization and the position. So, you want to make sure you are asking questions that centre around your employer and the organization. 2) Avoid asking personal questions - As much as you want to show your interviewer that you are interested in them and the organization, avoid asking questions that are not to be shared with the public. Keep your questions professional! 3) Avoid asking questions about only a particular area - Ask about a variety of topics to show your interviewer that you are interested in all aspects of the organization. 4) Avoid “yes” and “no” questions – Remember, the aim of asking your interviewer questions is for you to get relevant information about the organization for you to make your own decisions. You also want to avoid asking questions that are too difficult to answer. 1) How would you describe the responsibilities of the job?– You want to be sure that you are on the same page with your employer as to what is expected of you, so this is the perfect chance to gain insight into the skills required to do the job if you get it. 2) What is the most important accomplishment that is expected of me in the first ninety days? – Ask your interviewer what is the one most important goal that you need to achieve during your first ninety days on the job. 3) What are the most important qualities or skills that I need to excel in this role? – This will help you determine if your strengths and skills are a good match for this role. 4) What is the company’s work culture – Because a healthy work culture is important for career success, you want to be sure that this is a pace where you can grow and advance in your career. 5) What are the prospects for career advancement in the organization? – Again, you want to be certain that this is a place where you can achieve career advancement, asking your interviewer this question will help you determine if this is the right job for you or not. 6) What are the major challenges the company is facing now? – Asking this question will show your interviewer that you are genuinely interested in being a problem solver and you can determine how your skills will help the organization achieve desired results. 7) What are the company’s plans for growth and development – If you plan to be in this role for a couple of years, you want to make sure the company is growing so you cain grow with it. Asking this question will give an insight into the collective goals of the organization. 8) What is the best part of working for this company? – Ask the interviewer what he likes most about his job, this will help you see the company from another person’s perspective. 9) What is your least favourite part of working here? 10) What is the next step in the interview process? – Asking this question will show that you are eager to continue and eventually get hired, it will also provide you with the information you need to follow up with the hiring process. The way you sell yourself in an interview will determine whether you get the job or not. You want to make sure you portray yourself in the best light, while exuding a healthy level of confidence. 1) Do your research – Organizations create positions because there are needs to be met or problems to be solved within the organization. Prepare for the interview by finding out what these problems are and how best they can be solved. If you have any, tell your interviewer about a time when you solved a similar problem, come with data. 2) Be confident – As mentioned earlier, you need the right amount of confidence to sell yourself properly during an interview. Notice how we said, “the right amount”, that’s because you do not want to come across as arrogant. You also need to mind your body language – Maintain a good posture and do not avoid eye contact as this may make you seem unsure and uninterested. 3) Be specific - In giving details of the skills you possess, and examples of times when you solved a problem, you need to be specific and not beat around the bush. Choose your words carefully and avoid using words such as “um”,“like” as they make you seem unsure of what you are saying and the information you are giving. Avoid giving vague answers when answering questions and keep it brief, you do not want to bore your interviewer. 4) Highlight your strengths – Now, we are not asking you to go on full bragging mode, you only need to speak about your skills and accomplishments here (be sure to use “I”, not “we”). • In my final year at school, I led a team of five on a project that won several state and national awards. • In my previous job, we were understaffed, and I took on additional tasks outside of my role, just to ensure that the company goals were met. 5) Practice – Before the day of the interview, ensure you’ve had a lot of practice. Research interview questions and how to answer them, try it with a friend or a parent who can give honest feedback. Are you a job seeker who’s looking for an opportunity to tell potential employers about yourself and the skills you possess? Idashjobs is offering you the perfect opportunity to sell yourself, in the most creative way ever. The idash candidate (#theidashcandidate) lets you do just that. • Video with the highest likes wins cash prize of N10,000 and a profile on our website and social media account for a month. • Video with the second highest likes gets some of our candidate services free of charge! Searching for a job can be a bit of a hassle, whether you are unemployed or looking to change jobs.The process of landing your dream job remains the same, from preparing your resume, to sending them out to recruiters and getting prepared for interviews. So, depending on what category you fall into, you want to make sure that you customize your approach to your level of expertise. While entry-level applicants try to compensate for lack of experience, experienced applicants capitalize on the breadth of their experience while searching for better opportunities. Maybe you got laid off from your previous job, or you are just starting out, don’t wait till you are hired before you start being productive. Start now, get busy! You can express your interests in non-traditional ways like blogging about topics you are knowledgeable about, start offering consulting services online. This is a great opportunity to display your work ethic and knowledge. Become better in your chosen career so you can continue to create opportunities for yourself. Because employers are constantly looking for people who can deliver results, you need to prove that you are willing to learn and are not afraid to educate yourself. You can start by registering for an online course to improve your skills or even learn new ones. There’s a wealth of knowledge available to you on the internet, make good use of it. To land your dream job, you need to network in multiple directions. Make a list of all the people you currently have in your network and talk to them about your career goals and interests. You also need to take time out to attend networking events that are relevant to you and your goals. Networking can be time-consuming, so make sure you are doing it right. These events are a great way to meet potential employers and professionals in your niche. Do not go about asking everyone for help, focus on building rapport with the people you meet at these events as that is a far more effective way of networking. Make a good impression, follow up with people after the events and that way you are likely to be remembered and recommended for a job. Maybe you’ve seen a job opening that caught your attention, what do you know about the job? Find out what is most relevant to the job and tailor your resume to it by filling it up with relevant experiences that will catch the eye of your potential employer. Be careful not to lie about the skills and experiences you possess while trying to do this. You also need to cut jobs that are not relevant to the role you are applying for. 5) Show employers that you are results-oriented. It is a known fact that results are the most important goal for every employer, so as a job seeker, you need to focus on communicating this – in person and on your resume. Share some of the goals you set for yourself in the past, and the steps you took to get there. You may want to cite examples of when you volunteered to work on a project or when you stepped up in a situation where no one else was willing to do so. Things like this show potential employers that you can take initiative and do what needs to be done to achieve results and lead your team to success. Because we are in the digital age, potential employers are looking beyond your resume. They now look at online profiles like LinkedIn, Facebook and twitter to find out what kind of person you are, what skills you possess and what you can offer them. You want to make sure your online profiles include a carefully curated portfolio of your work as this gives your potential employer a first-hand view of your work. Also make sure potential employers can see your interests on LinkedIn. Establish a strong online presence, it’s a great way to be seen! Read all about how to effectively use social media for your job search HERE. These are some helpful tips that are guaranteed to aid your job search and land you your dream job. We will be talking about some other helpful tips in subsequent posts. Do you have any questions or helpful tips you want to share? Volunteering has a wide range of benefits – self-discovery, self-esteem boost, exposure, opportunities for meaningful connections, and the warm and fuzzy feeling one gets from doing good and giving back. Volunteering can give you an edge in your career. Volunteering provides an opportunity to gain knowledge, skills, and experience even while waiting to be hired. You can also learn new ways to apply already existing skills. You can build relationships and expand your network of contacts. If you are looking to switch careers, it is an opportunity to test a career path, see if it is something you are really interested in or are cut out to do. Volunteering can show a prospective employer what your values are, and how well you work in a team. It can also be an indicator that you are committed and not afraid of hard work. At the very least, it is better than an empty space or a wide gap on your CV. Volunteering can also lead to paid employment. Say you join an organization as a volunteer and you work hard and meet other criteria, you may get an offer of employment. That, or a very solid reference. So, instead of waiting around for a dream job, identify volunteer opportunities in that area and make yourself available to work. Internships have the same benefits as volunteering, except that they mostly apply to students. Students who take on internships (and are deliberate about the opportunities they take) have an advantage over those who are fresh out of school with no kind of work experience whatsoever. Employers are more likely to consider people with experience to fill positions. An internship is a good way to get introduced to and familiarize yourself with the real world of work, and to test or validate career choices or options. It will help you decide if you should continue with your course of study or consider a different line. Or you could even take on additional courses and trainings. As an intern, you get the chance to practically apply all the knowledge you gained in the classroom. Internships also provide opportunities to develop skills such as communication, time and people management, which are essential tools to have in the work place. They are opportunities to show potential employers your drive and initiative, since they are not always mandatory. In many cases, internships lead to permanent positions (this depends on performance and fit, of course), and it is a good way to get references and build a professional network. Internships and volunteering are great ways to improve your chances in the job market, to build up your CV, and to learn valuable professional and personal lessons. They help you learn more about yourself and your chosen field of work. Instead of thinking of them as unpaid labor, think of them as an opportunity for self and career development. And you do not have to pay a dime! Use of social media continues to be popular in many (if not all) spheres of life. We get breaking news (sometimes first), and all sorts of information from there. Companies who want to connect with existing customers, reach a new demographic, showcase or market their goods and services know that they cannot boycott social media. It has become a great place for employers to search out talent and for job-seekers to show what they can do. So how can you use social media to your advantage as a job-seeker? Have an online brand. You don’t need to have accounts on every social media platform, just have a few that you can manage. You can also have a simple personal website to showcase your work or experience. Prepare your profile. Make sure your avatar or profile picture is professional and clear, and your bio concise. Let it show what you do and have a link to your website. Use your real name, not an alias. Ensure that across all social media platforms you want to use for professional reasons, your profile is consistent. Keep it clean. There are apps that can clean up your social media accounts and make them free of questionable photos and profanity. Type your name in Google and see what comes up. If you don’t like it, clean it up. Be mindful of what you post on social media. Even when you are discussing matters you are passionate about, keep your conversation filtered and clean. Many people have lost opportunities or jobs because of their social media updates. Social media is also not the best place to rant after a job interview; your potential employer might be watching! Stay up to date. Follow relevant sites and influencers in your area of interest. Keep abreast of the happenings in that field. Start or join conversations about things you are interested in or that are related to your dream career. This is an opportunity to show your knowledge and to learn new things. It is also a great way to meet people, create relationships, and expand your professional network. Many recruiters and heads of organizations handle their own social media and are available to converse. Use hashtags well. Show what you can do. Put up pictures, start up a blog, write an article, do things that will show prospective employers or hiring managers just what you can do. Make it clear in your bio as well. 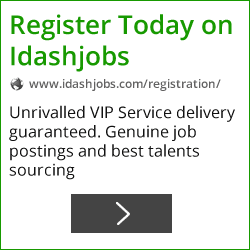 Search relevant job websites like idashjobs.com and follow them on social media for updates. Follow career experts too, and seek advice if you need to. Let people know you are looking for a job. If you can state specifically what kind of job you are looking for, all the better. This will keep you on the minds of your connections and followers, and you may even hear about openings before they get on job boards and websites! So, your CV caught someone’s eye and you got called in for an interview. You’ve got the most of the questions down pat, except, how do you answer the one about salary? Many people find this part of the process very awkward, but it need not be. We have some tips. Know how much you’re worth. Put a price (value) on yourself. Know how much your time and skills are worth. Be realistic. Don’t demand pay for value you can’t deliver. Find out what the industry salary range is for the position you will be filling, and if you can, find out what the company typically pays for the position. Have a base figure in mind (an amount you don’t expect to go below), then negotiate armed with this information. Let the employer go first, especially if you’re applying for entry level positions. Whether the employer asks you what amount you expect to be paid on an application form, at an interview or after the interview, try not to quote a figure first. Let them make an offer, then you may respond. If you are asked in the preliminary stages of the recruitment process, such as on an application form, you may leave the space blank. If it is at an interview, you can tell them that at the moment, it is more important to get a good understanding of the position you are applying to fill, and of the organization, or to gauge the fit between you and the organization. If they insist, or if the question comes up again at a later stage, let them make you an offer first. Whatever you do, be graceful, enthusiastic, and polite. Sell yourself. From the preparation of your CV to the interview and other meetings after, this is what you are aiming to do: to sell yourself. You are trying to convince a prospective employer that you are a good fit for the position being advertised, and for the organization. So if the offer you got is below your base figure, say that, and negotiate for a higher amount. But you need to be able to convince your employer as to why you need that much increase. This is where the research and the selling comes in. If you will make a counter offer, let it be driven by facts and figures. Toot your own horn too. Let them know what value you will bring to the team and the organization. Don’t waste time. If an offer has been made and it meets or even exceeds your expectation, you don’t have to accept it immediately, but don’t waste the employer’s time. Be as prompt and enthusiastic as you can be throughout the process. Congratulations! You got the call! Or the email. Or the SMS. Whichever it is, you have an interview scheduled! This is your chance to sell yourself, to show how much of a fit you are for this job and organization. So, how do you prepare for an interview? Never underestimate the power or importance of Google. Find out as much as you can about the organization. Go past the home and about pages on their website too. If they publish reports or have a blog, information from those would be great talking points at the interview. Say you are asked a question about what value you can add to the company or how the company can improve their products or services, your response should be supported with facts from your research. Get information about the position you are filling, and if possible, your hiring manager. Dress well. Find out what the company’s stand is on dressing. But if you cannot, it is better to be over-dressed than to appear shabby. Ensure that your clothes are clean and well-ironed, and your shoes are polished or clean. Tone down jewelry and makeup use; less is better in this case. Don’t eat something heavy before your interview. Groom your hair well. Be punctual. It is bad form to be late, especially to an interview. It is better to arrive about thirty minutes early than to arrive at the time the interview is scheduled for. In your time estimations, leave a margin for unforeseen delays. Punctuality shows that you take your interviewers seriously and that you value their time and yours. It is often said that a smile is the best accessory you can wear, and this is true. A smile softens your features and makes you appear more accessible. Be courteous. 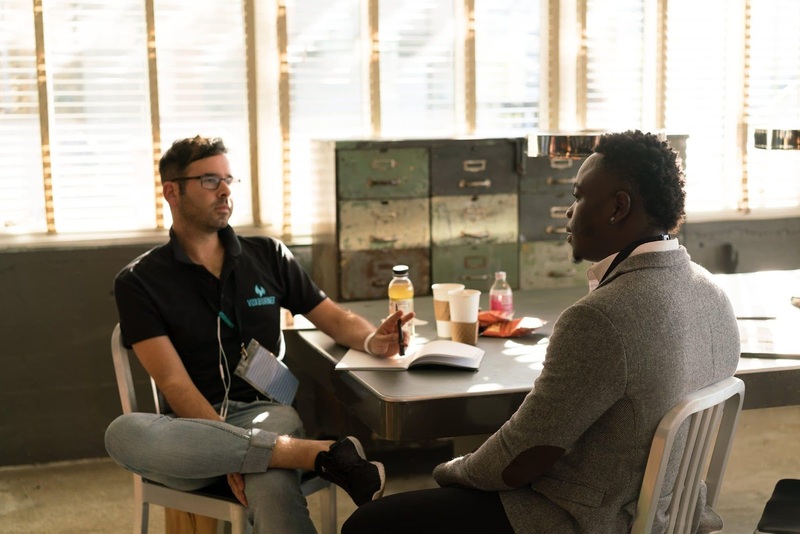 Some employers don’t just want to know when you arrived or how skilled you are, they also want to know how you treated or addressed their employees. Wait to be offered a chair before you sit. Be confident. Make eye contact with your interviewer(s). Let your handshake be firm – if you have sweaty palms, carry a handkerchief with you and wipe your hands on it as often as you need to. Ensure that you have the right body language too – don’t slouch or sit carelessly. Be confident but not arrogant; no one likes a person who is full of themselves. Be focused. Don’t get lost in thought or carried away. Pay attention to your surroundings and your interviewer. Answer questions truthfully, directly, carefully, and concisely. Don’t be over-friendly. It is important to be likeable, and sometimes, interview atmospheres are relaxed, but remember you are not there primarily to make friends. Even if your interviewers are friendly, you must not go beyond their level of familiarity. Say thank you. After the meeting, thank the interviewer for their time. Following this up with a ‘thank you’ email also goes a long way. Once you’re keen on finding a new role and applying for countless jobs online, it can sometimes become very time-consuming and tedious. So often candidates are tempted to use the “scatter gun” approach and fire off the same CV to scores of vacancies, without even reading the job advert. Although this method may increase the quantity of jobs you apply for, it will greatly decrease the quality of each one. Even though many of the roles you are applying for will be similar, no two jobs are exactly the same so you should shape your CV accordingly to reflect the requirements of each job. After all, it’s better to send one strong targeted application, than ten poor applications. CV modifying doesn’t mean you have to re-write your entire CV for every application; it can actually be done fairly quickly once you’re familiar with the process. modifying your CV is about understanding which of your qualities are most important to a particular vacancy; and adjusting your CV to make them prominent to that particular recruiter. Using the following steps, you can tailor your CV to ensure that it has maximum appeal to every employer you send it to. Most candidates will see a job title they like, look through the requirements and excitedly send their CV over without even double-checking their CV to make sure they have highlighted all the relevant experience. When a job advert catches your eye, don’t rush in and send your CV straight over in an attempt to beat the competition with speed – instead, focus on beating them with quality. Take a few minutes to really understand the job requirements and compare them with your CV. Imagine you were the recruiter for this role and reading your CV for the first time… Does it match up with the job specification? Can I immediately see the key requirements for the job on my CV? If not, then you will need to move some of the information around or add some skills or knowledge that you’ve left out. What is my CV missing? You won’t always tick every box for a vacancy and it’s important that you understand your shortfalls so you can combat them. If you’re missing certain experience or knowledge from the requirements, then you need to be creative and think about similar experiences or transferable skills that you can highlight in your CV to ensure you still look like a good fit on paper. As your profile sits at the very top of your CV, it will be the first thing a recruiter sees and makes decisions on. If the most important skills required for the job cannot be seen in your profile, some recruiters will move straight on to the next CV without reading any further. Your CV will obviously be targeted towards one type of role, but some employers will value certain qualities over others. You need to determine which skills are most important for the employer in question and include them prominently in your CV. For example if a job advert states “2:1 degree or higher is essential!” and you have a 2:1 degree, then you need to ensure the recruiter knows about it. Don’t leave your degree hiding at the bottom of your CV in the education section; mention it in your profile too, so that the recruiter can instantly see you have that essential requirement. The first role on your CV is very important because it’s the first example of your work that recruiters will see, so they place a great deal of value into it. In most cases you will list your roles in chronological order, starting with the most recent – but you don’t always have to stick to this rule completely. In some cases your most recent role might not be particularly relevant to the role you’re applying to. For example, if you are a recent law graduate applying to legal firms and currently working as restaurant waiter; then your current role will not interest legal employers particularly. So in this case it would be better to be a bit creative and list some university work placements or projects at the top of the experience section to make the CV appear more relevant. So if your current role isn’t quite relevant to the role you’re applying to, maybe you could add another role such as volunteer work, freelancing or work placements to tailor your CV accordingly. The information you omit from you CV can be just as important as the information you include. If you have large sections of your CV being filled up with skills and knowledge that are not being mentioned in any of the job adverts you are responding to; then it would probably be a good idea to cut down those sections slightly. You don’t have to completely remove them, but reduce the level of detail slightly to give yourself more space to write about the skills that are actually being asked for in job adverts. For example, if your work history from several years ago is completely different to the industry you are currently working and progressing in, then it’s OK to cut down your older roles to one line summaries as your current target employers will not want to read about them in great detail. This article was written by Andrew Fennel and has been culled from the cv-library.co.uk website (14/02/2017). Successful people know that they should get an early start in a day. Everyone knows that guy that is always at his desk before everyone else, making the rest of the team wonder if he slept at his desk. How does he do it? Why does he do it? Chances are, that early bird knows a few things you don't. Why do you arrive late? Let's take a look at this normal morning for you: you have to get to work at 8:45 a.m. but you woke up at only 8 a.m. You rush into the bathroom to get prepared for the day. You grab whatever clothes you find and look untidy. You run for the bus, catch it just on time and give everyone a frown. You get off the bus, then quickly run to the office. You now look like you just competed in the Lagos Marathon. That's not a great way to start your day. Now, let's look at what an alternative morning for you would look like if you wake up 90 minutes earlier: you have to get to work at 8:45 a.m. so you get up at 6:30 a.m. You get out of bed, stretch and go effortlessly into the bathroom and get ready for the upcoming day. You search for an outfit and you look neat. You head into the kitchen and eat a nutritious and healthy and save money in the process. You stroll to the bus stop and you're five minutes early for the bus. You then arrive to work at least 45 minutes earlier checking up on your emails and reviewing your to do list and planner for the day. Now that's a fantastic way to start your day! If you regularly wake up early then you have achieved something that is very hard to do: you have conquered your inner voice. This little man inside of you tells you to hit snooze on your alarm, stay in bed just five more minutes and sip a cup of coffee to get you ready for your day. You didn't listen. Instead, you now have a mindset of winning, a superb attribute for your career. Indeed, no one has ever said that it's easy to get out of bed on a cold day at 6:30 a.m. But, if you want to get to work early then this is something you'll have to do. Of course, it won't happen overnight, but it could be something to achieve over time. Beginning today, try waking up 15 minutes before your normal wake up time. In the following month, wake up 15 minutes before that revised wake up time. And so on. Once you accomplish this, you'll be a force to be reckoned with at the office. In a lot of cases, offices are relatively quiet before 8 or 9 a.m., since many employees are on the way in. Instead of being interrupted every five minutes by a coworker with yet another question, you'll be able to make a major dent in your latest project. You'll have already plowed through your to-do list by the time others arrive; freeing you up to focus on unplanned tasks and duties that may arise. Even if you find your mind isn't quite sharp enough in the morning to tackle your projects, you can still enjoy the quiet morning hours. The global economy is 24/7, and it's quite possible that your business has caught on. Therefore, calls and emails are sent out to your private firm all the time. When you get to work early, you're able to start calling customers back, replying to emails, sending out messages to colleagues and overall catching up on all the tasks you need to. This is great because now you won't be rushed at 9 a.m. and you won't feel a tremendous amount of pressure. If you're interested in showing others your strong work ethic, being at work earlier than anyone else is a great way to do it. 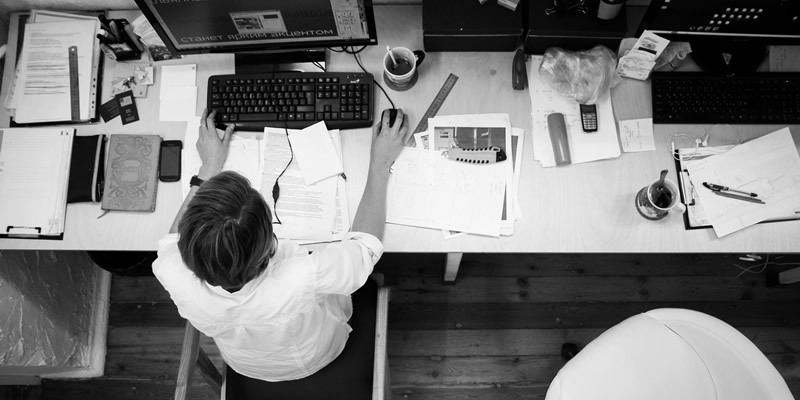 If you're an employee, your boss will see you as a hard worker who is so dedicated to your job, you're at your desk, working hard, before everyone else. If you have employees, you'll set the example that you're willing to work harder than anyone. If you are really ambitious, stay later than everyone else, as well, although this type of behavior isn't good for your work-life balance, so if you have to do this at all ensure it is for good reason and the results you get at this time counts. If your work situation is flexible, you can use your early arrival as a great pretext to slip out a little early every afternoon. You'll get home before evening rush hour starts and if someone needs you, you'll be reachable by phone or email. Researchers have reported that morning people show positive characteristics, such as optimism, amiability, satisfaction and self-awareness. These are great traits to have in any career. Although we're constantly told that night owls are intelligent and creative, they also tend to be pessimistic, depressed and neurotic. 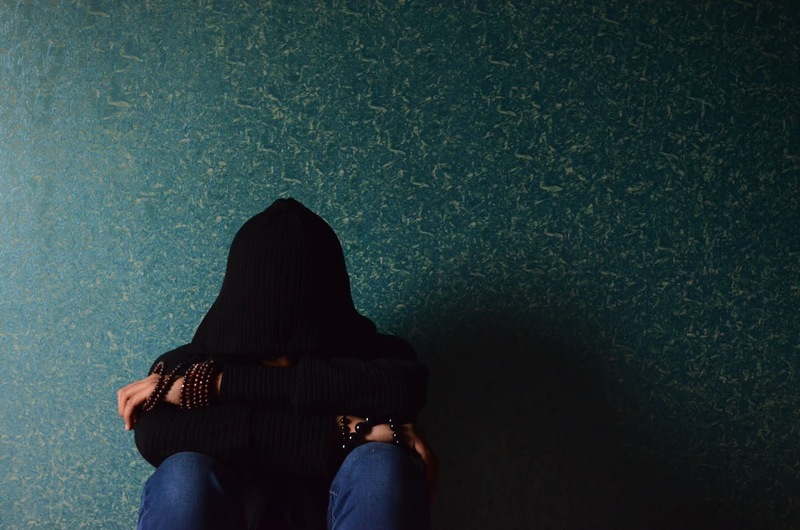 Being moody at the office is something most people try to avoid. The negative one is excluded from everyone else. In a world of tight deadlines, fierce competition and a lot of pressure, more offices need someone with a calm behavior. Early risers tend to exhibit this! It’s the feeling of been part of something but knowing you are not exactly a part of this family. The adopted child feeling but sometimes it’s not necessarily so. A couple of people close to me have had to go through this and I thought, it might just help to share some of their lessons learnt and what their views were. But first, why do companies hire temp staff anyways? Temporary filling of a role- in case the current staff who does the job has to take a leave of absence, maybe for illness, study leave or maternity. A short term project that requires a particular skill set that is rarely needed in the organization- So maybe your niche is very specialized and needed for a project but not particularly a skill set that correlates with the industry. The hardest and realest reason is that it saves cost for the company to recruit a temp staff. Sometimes, organizations are a bit very particular about whom they hire and their brand so they can offer a fixed term position in other to get the right fit, I personally believe that startup firms should do this. It helps them build the culture of their business and find out what works the best – kind of like dating or courting before marriage. Depending on the organization you might not get your pension contributions /gratuity or taxes done for you as you would be considered as a contractor – more like a consultant /service provider- and I believe every professional should see themselves as such. You may not be offered such ordinary entitlements as vacation pay, benefits and bonuses, training allowances, health insurance and a couple of other work place perks. It might be an opportunity to get the much needed experience you so want to add to your expertise in that new career path you are considering. It’s a great way to break into a large company, while this is possible, a little warning: It can also be heart breaking when you don’t get in. As much as you desire to – no need getting resentful because a contract is a contract right, the organization didn’t promise you a permanent position remember? So put up a positive attitude! You get a chance to increase your professional network. Now, you work with a lot of different teams as “colleagues” and that’s way better than an acquaintance. This is great for your professional brand. You can dictate your terms especially if you have been able to package your professional brand and have mastered how to confidently It as a product. So how do you deal with the experience and still feel fulfilled, happy and content in this reality? Speak up about your being available for an open position and don’t just assume they should know you are interested in becoming a permanent staff. This happened to my friend, she worked with a firm where her skill set as a Software consultant was open, and she almost missed it because the organization merely assumed she was satisfied with her role as a consultant. Get yourself a health insurance: in Nigeria, most people only have health insurance –popularly called HMO because their work place has this in place for them. I did this for a couple of years too, it was cost effective to do a health insurance for myself and it was not that bad either. There are loads of options that allow you have this as an individual. If you are interested in such an investment as pension, do one for yourself; do direct deposits from your salary account. Speak to an investment portfolio person for advice. Invest for the dry days in case they come. Be deliberate in your networking- When you leave a temp position, keep the contacts warm. Don’t burn the bridges. Make use of such relationships as your brand evangelists! Do an absolutely freaking great job. It’s tempting to want to get disgruntled with the organization especially when you are seeing the perks flying around. End of year can be especially heart breaking – Gifts, bonuses, 13th month salary and other perks can get even the toughest and most matured professional depressed but keep your chin up! Waiting to have your contract renewed can get you into anxiety pangs. Be prepared always! Be on the look for opportunities that you might be interested in outside of the organization. Don’t get carried away with the friendships and the seemingly comfort cocoon you are currently in. A contract is a contract and no one is obliged to renew it. It’s totally the organizations decision. Bitter but hard truth! Start to consider the role of a consultant long term; if you are sure you are ready to take on working for yourself, start to brand yourself differently from an employee to a service provider who is willing to help organization solve particular pain problems. Start practicing free-lance in your spear time or collaborate with other consultants to run your own start up. Whether, you are a temp staff by choice or by commission, or even if you are a permanent staff, decide today that you would happen to your career and have a fulfilling one at it. Hope this helps someone make an informed decision on their career. What do you find to be the most effective method of networking in your field? © Idashjobs 2017. Powered by Blogger.